Laura is low-key but don't let her fool you, she plays to win and refuses to give up. Just ask the rec field hockey team that she coached this fall. After losing every game of the season, she led the team to victory in their last game of the season. Faith, family, and field hockey are the three factors that have had the greatest impact on Laura Napolitano. In some ways, Laura is a product of her West Side upbringing. She never turns down a chance to spend time with her family. She was raised in a Catholic home on Cleves Warsaw Pike, near St. Teresa of Avila Church, not far from Price Hill Chili. Her father was one of seven kids, her mother one of four; he is an Elder alum, she graduated from Seton next door. In other ways, Laura is not so typical. Her parents encouraged their three daughters to step outside their comfort zones. By West Side standards, Laura “went away” to high school, to St. Ursula Academy in faraway East Walnut Hills. She also left home to attend college at The Ohio State University and again when she was accepted into law school at Villanova University. She is about as far removed from an entitlement mindset as one can be. “The world doesn’t reward you for just showing up,” she says. Athletics were a pastime that bonded the family. All three Napolitano girls excelled. Laura was a member of the Buckeye varsity field hockey team and a captain her senior season. Her older sister, Angela, played varsity soccer at the University of Florida. Younger sister, Maria, was on the women’s varsity basketball team at Quinnipiac University in Connecticut. “I think a key lesson from my sports experience came during my sophomore year in college,” she says. Laura’s favorite movie is “My Cousin Vinny,” a staple in many budding lawyers’ film collection. Growing up, she was often told she should become an attorney because she often found herself persuading family and friends to her viewpoint. As the middle child, she frequently played mediator. Laura is a member of the Firm’s Corporate Counsel Group, practicing primarily in the area of local governance. Having earned her political science degree from The Ohio State University, Laura has long had an interest in politics and government. Laura’s experience involves advising municipal clients on Public Records Requests, the Open Meetings Act, and zoning law. Beyond her work with local governments, Laura’s practice also touches corporate and real estate law. Laura assists corporate clients by reviewing and revising lease agreements, drafting operating agreements and resolutions, and developing strategic plans to assist clients achieve their goals. Prior to entering law school, Laura was a student-athlete at Ohio State, competing on the women’s varsity field hockey team. Laura received her law degree from Villanova University Charles Widger School of Law in 2016. During law school, Laura had unique employment opportunities that allowed her to combine her passion for athletics and the law. 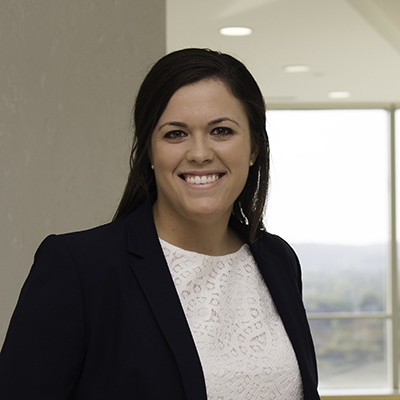 Laura gained experience in the sports industry when she had the opportunity to work as an intern in the Legal Department for Minnesota Vikings Football, LLC in Eden Prairie, Minnesota. While with the Minnesota Vikings, Laura reviewed sponsorship agreements, drafted memoranda on innovative business solutions and marketing strategies, and corresponded with vendors to execute contracts. In addition, Laura served as an intern in the Compliance Office for Villanova University’s Athletics Department, reviewing NCAA Bylaws, and assisting coaches and players alike with compliance issues. Laura has strong Cincinnati roots, and strives to be an active member of the local community. Outside of her legal practice, Laura is the head coach for the varsity field hockey team at her alma mater, Saint Ursula Academy in East Walnut Hills.